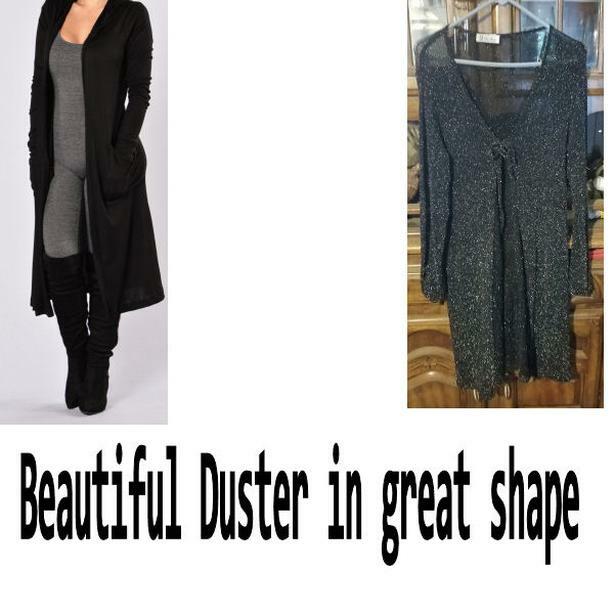 This beautiful silver flecked black duster has hardly been worn and is ready for more wear. Very stretchy and classy looking over anything. Make an offer.